I am trying out a new coin, which is larger than a half-dollar but smaller than a dollar coin. It's a UK Half Crown. But specifically, it's a Victoria Jubilee HC (1887-1892), which is nice and worn/soft. Kainoa Harbottle recently started using these, which is how I found out about them (the Magic Cafe). I've liked the size of the 1950s era Mexican Peso, which is 34 mm (even bigger than the 32 mm half crown), but it is nothing like smooth/soft. Plus it has a ridge around the edge, which makes it hard to muscle-pass, not to mention do any kind of quietly sliding over each other. On top of all that, the pesos don't have a milled edge - its very slick, making edge grip stuff difficult. I had tried the 1920s era George V half crown, but though it is the same size as most half crowns (32 mm), it has a sort of raised lip around the edge, making it a bit hard to work with. But these jubilee Victoria coins are flat and smooth with a milled edge. Wonderful. See pic below. Queen Victoria's profile resembles that of my ex-mother-in-law...scary. nice coin. Can i have them? LOL. No. No you cannot :-). I actually like it! 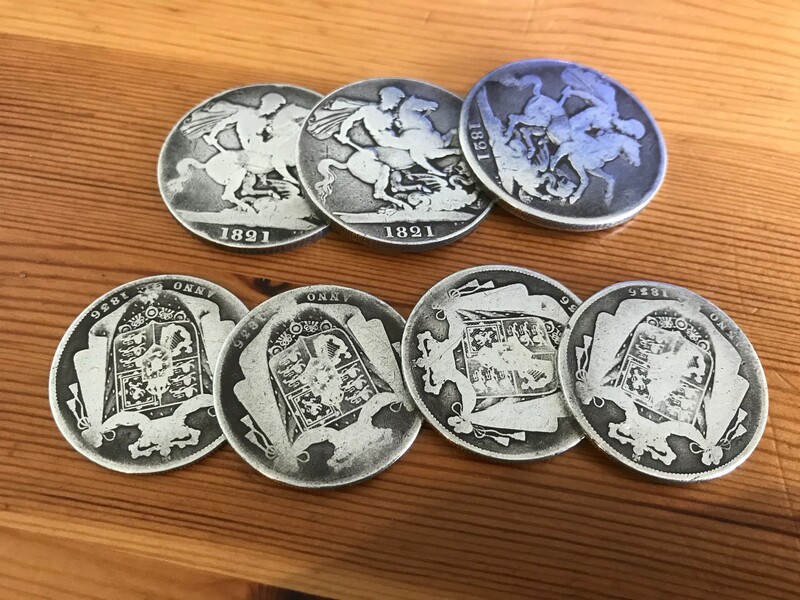 Did your local coin shop have them? I use these as well. And some (full) crowns too which are a bit larger. I get all mine from ebay. The crowns are on top, and the perspective of the photo is making them look the same size as the half crowns, but they are actually a fair bit bigger! Sadly, no. Ebay. The local coin shop is good, but they deal exclusively in US coins. These crown coins are even bigger (at 39 mm) than American Silver Dollars (38.1 mm). Nice, but not quite the holy grail I wish I could find, which would be 34-35 mm worn, flat, smooth silver coin with milled edges. The Mexican peso coins are the right size, but they have two problems - they are smooth and not milled on the edge. Plus they are too new to be worn down enough to be smooth on the faces, and both the pesos and the half-ounce Libertads have that raised lip along the edge, again making them difficult to work with. At lest the silver Libertads are milled on the edge. But as pretty as they are, they are not smooth or worn enough to slide against each other when handling. 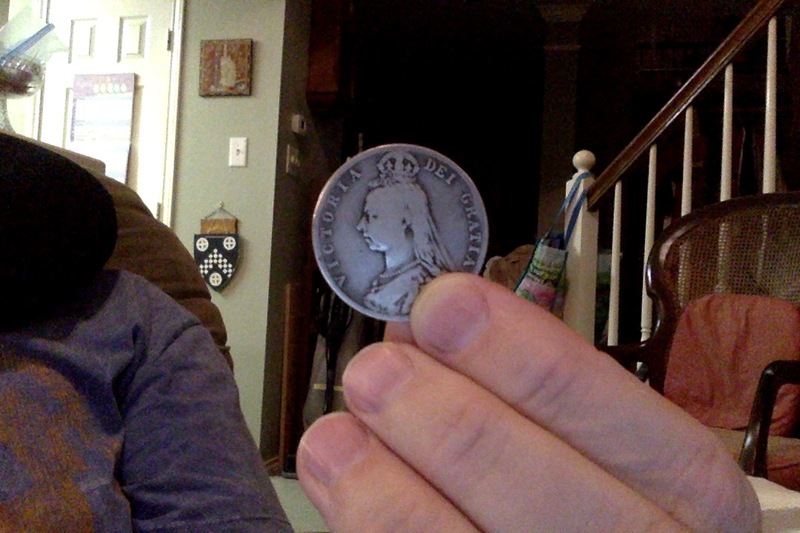 So at the moment, the 1800s half crowns at 32 mm are as close as I can get to my ideal coin.